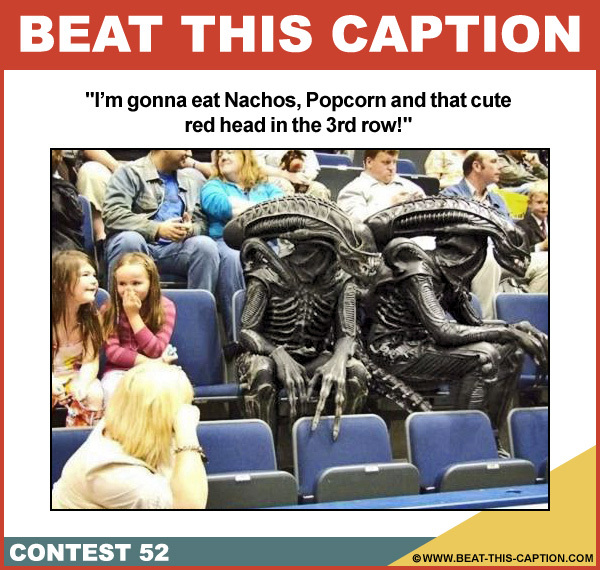 Beat This Caption Contest 52 – Caption Contest Funny Clever Witty Enter Today! I’m gonna eat Nachos, Popcorn and that cute red head in the 3rd row! July 17th – July 23rd 2011.